It’s on! 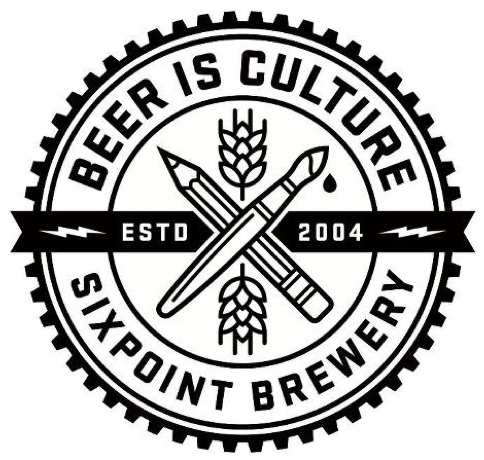 The third annual art and design exhibition from Sixpoint, Beer Is Culture, has begun this week, and the first entry — a t-shirt design — has already come in. This is an event we’re especially excited about, because we never know what to expect. As an open-to-public exhibition where your original designs are showcased on the Sixpoint Facebook page, it’s a chance for everyone to get creative and channel the many ways beer is culture. At Sixpoint, we have a penchant for art, as one of many facets of “culture.” From the icons on every beer can to the star logo itself, we’re keen to explore how many words a picture can tell. Of course, the foundation of all these representations is the beer itself. And seeing that beer is the cornerstone beverage of civilization — as well as many social gatherings — we feel it’s uniquely fit to inspire artistic creativity in some form. The guidelines haven’t changed much from last year’s contest: from now until April 30, anyone can submit their original artwork by uploading it directly to the Facebook wall, or by emailing it to beerisculture@sixpoint.com. Anyone can also click “Like” on their favorite piece in the online gallery, and on May 1, we’ll round up and announce the top six finalists with the most likes so far. A final week of voting will follow, and on May 7, the piece with the most votes will become the Beer Is Culture 2012 winner, and Sixpoint’s Facebook profile image for the next year. All six finalists will receive some fun prizes from us for their participation, including annual museum memberships for them +1 to a museum of their choice, and each entry will undoubtedly raise the exposure of the artists, as we’ll link to their portfolios or sites on the wall. Tell your friends and channel your creativity even if you’re not an artist, per se. It’s all part of an evolving culture, with foundations steeped in beer.